War is coming to No-Man's Land, and Connor Fraser will be ready. A mutilated body is found dumped at Cowane's Hospital in the heart of historic Stirling. For DCI Malcolm Ford it's like nothing he's ever seen before, the savagery of the crime makes him want to catch the murderer before he strikes again. For reporter Donna Blake it's a shot at the big time, a chance to get her career back on track and prove all the doubters wrong. But for close protection specialist Connor Fraser it's merely a grisly distraction from the day job. But then another bloodied and broken corpse is found, this time in the shadow of the Wallace Monument - and with it, a message. One Connor has received before, during his time as a police officer in Belfast. With Ford facing mounting political and public pressure to make an arrest and quell fears the murders are somehow connected to heightened post-Brexit tensions, Connor is drawn into a race against time to stop another murder. But to do so, he must question old loyalties, confront his past and unravel a mystery that some would sacrifice anything - and anyone - to protect. 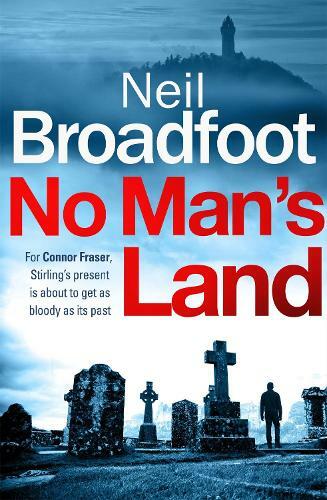 From Dundee International Book Prize and Bloody Scotland book of the year nominee Neil Broadfoot comes No Man's Land, the first in the white-knuckle Connor Fraser series. 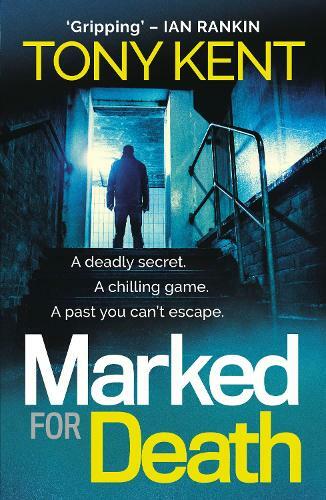 to celebrate the launch or Tony Kent's brilliant new thriller Marked For Death, we have pulled together an amazing panel of top crime writing talent consisting of Tony, Neil Broadfoot and Mason Cross. Join us and get an insight into all that makes a great crime novel. Thank you firstly to Helen Fields for recommending this book to me! Obviously as Helen had recommended it & I love her books I had very high expectations for this!